2016, Paris S. et al. 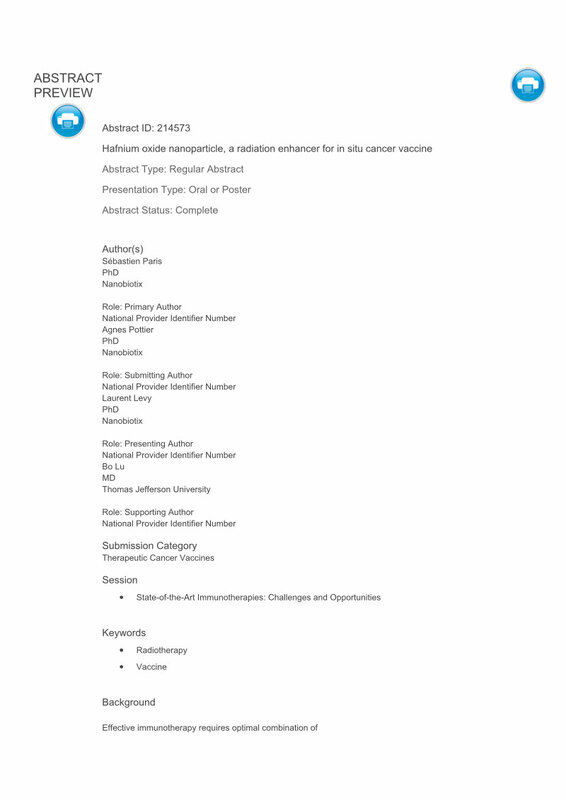 NBTXR3 exposed to irradiation enhanced cancer cells destruction and immunogenic cell death compared to irradiation alone, suggesting a strong potential for transforming tumor into an effective in situ vaccine. This may contribute to transform “cold” tumor into “hot” tumor and effectively be combined with most of the immunotherapeutic agents across oncology.